Historically marginalised, there is a group of Muslims in the fashion industry who are grafting to get their voices heard – and to increasing success. There’s traditionally been a huge scene for modest fashion, but it’s taken a long time for it to break into the mainstream. Now, models like Halima Aden are walking high fashion catwalks in headscarves, and big brands like Nike are finally catering to those who choose to dress modestly. Muslim women make up such a big market in fashion that it seems almost unbelievable that it’s taken this long for them to start being noticed. Not only this, but some people are also using high fashion as a way to protest the discrimination and injustices often levelled against Muslim women. Here’s how headscarves and similar coverings are actually being brought into the mainstream. Modelling doesn’t traditionally have the best of reputations, and it might not be the first choice of career for anyone who dresses very conservatively. However, perceptions are changing and there are increasingly more Muslim models being noticed by high fashion brands. Take Halima Adem – arguably the most famous model who wears a headscarf. She’s modelled for some of the biggest labels in fashion – everyone from Marc Jacobs and Dolce & Gabbana to MaxMara and Philipp Plein. It’s a shame that wearing a headscarf makes her noteworthy, but Adem is such a rarity in the fashion industry that it undoubtedly makes her a trailblazer. Not only do many Muslim models have to overcome the clash between conservative values and perceptions of the industry, but fashion isn’t exactly known for its diversity, and no doubt the likes of Adem have to fight hard for their choice of dress to be accepted. First we’ve got to give a shout out to the modest brands who have been quietly helping Muslim women stay stylish – from an Aden-favoured brand Modanisa to Dian Pelangi. However, many Muslim women still don’t feel seen by high fashion houses. Slowly but surely, that’s been changing – a savvy move because it’s such a lucrative market for labels to be tapping into. Consumers spent $254 billion (£199 billion) in 2016 on Muslim attire according to the Global Islamic Economy report. These include Dolce & Gabbana, which has a range of hijabs and luxury abayas, as well as Nike with the development of its Pro Hijab. Burberry, DKNY and Tommy Hilfiger have all tested out modest collections too. These lines mark huge progress, but are still very much an afterthought for big brands, showing there’s still a long way to go before those who dress modestly feel totally included in high fashion. Many women live in an environment where wearing a headscarf or burqa is an intrinsically political act – just look at former foreign secretary Boris Johnson’s recent comments in the Telegraph that have stirred up controversy. Some have been responding to this by using fashion as a tool of political protest. 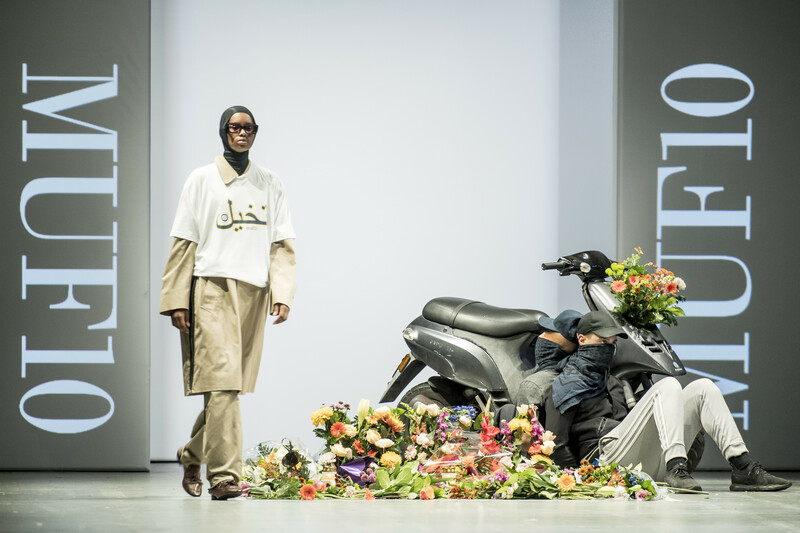 Take Reza Etamadi, the Danish designer who protested the country’s recent burqa ban at Copenhagen Fashion Week. 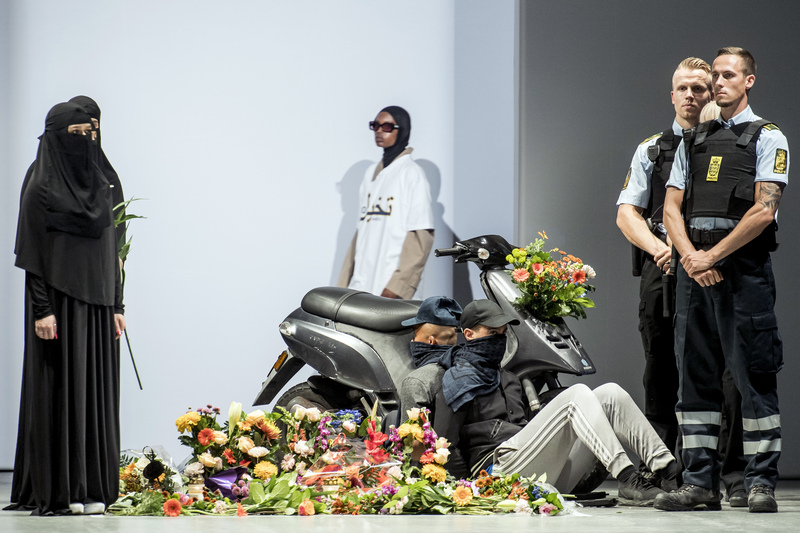 His MUF10 show featured models wearing headscarves and niqabs alongside others dressed as police officers, just days after a law banning full-face coverings came into effect. This isn’t the first time fashion has been used as a tool of protest, nor will it be the last. It just shows Muslim women won’t stand being ignored by the industry for much longer – and nor should they.